Has made a name as a winner of Numerous International Piano Competitions, including Rina Sala Gallo in Monza (2016, 1st Prize and Audience Prize), Premio Jaen (2016, 1st Prize and Best Spanish Music Performance Prize), Hastings Piano Concerto Competition (2015, 1st Prize and Audience Prize), Premio Accademia Romana (2015, First Prize), James Mottram (2014, First Prize), Taranto (2013, First Prize), Viotti (2013, 3rd Prize), Brant (2013, First Prize), and the most recent 1st Harbin International Music Competition (2018, 2nd Prize). He has made recital debut at the Moscow Philharmonic Chamber Hall in 2010, next year appearing at Carnegie Weill Hall in New York. Since then, he has performed extensively in many countries worldwide, venues including Carnegie Hall NY, Musikverein Vienna, Tonhalle Zurich, Wigmore Hall London, Bridgewater Hall Manchester, Moscow Conservatory and St Petersburg Philharmonic Halls. As soloist, he has appeared with orchestras including Royal Philharmonic Orchestra, Verdi Orchestra Milan, Royal Liverpool Philharmonic, Granada City Orchestra, Belarussian State Philharmonic, Manchester Camerata, working with conductors Brian Wright, Paul Mann, Carlo Tenan, Gergely Madaras, Alessandro Ferrari, Andrei Galanov, and Vasily Petrenko, amongst others. He has performed in festivals, such as Menuhin Festival and New Year festivals in Gstaad, Schwarzwald Music Festival, Interlaken Festival, Ribble Valley Piano Week, Ulverston Festival, and Rye Arts Festival. His performances were broadcast on radio BBC 3, Classic FM, SRF, and Medici TV. Alexander has recorded a debut solo CD with music by Mussorgsky, Debussy, Albeniz, and Seco de Arpe, for Naxos. He is also a passionate Chamber Musician and has a long collaboration with cellist Christoph Croise; he recorded chamber music on Toccata and Genuin. 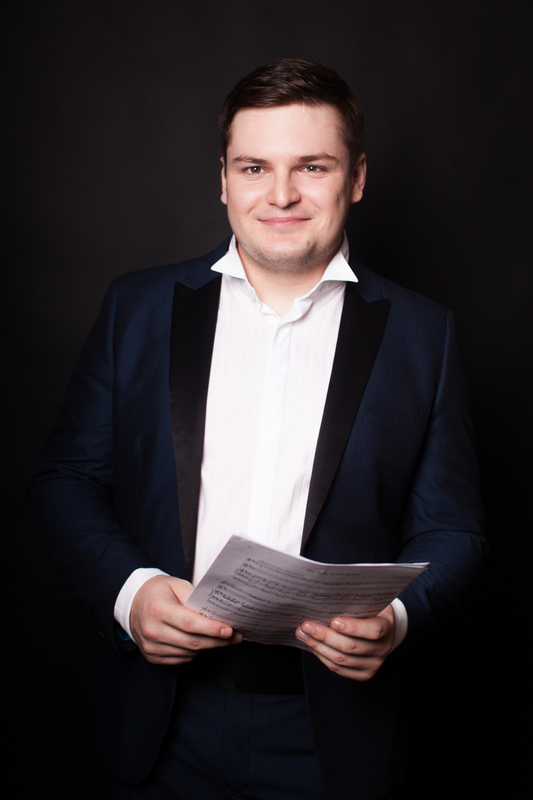 Alexander was born in Moscow and studied at the Gnessin School, and Moscow Conservatory with Andrei Diev. In 2012 he moved to the UK for postgraduate studies at the Royal Northern College of Music with Graham Scott. During the studies he has won all the Conservatoire’s major prizes, including the Gold Medal for top performance. Alexander is praised for the combined power and sensitivity of his playing. His vast repertoire spans an array of styles from Baroque to the 21st century with a focus on late romanticism and beginning of the 20th century repertoire.